Seven coats—that is the typical response you will get when you ask about epoxy floor coating in Salt Lake City. That may sound costly and time-consuming, but this type of flooring system is extremely reliable and always worth the investment. Of course, it is important to make a good impression, and a flooring makeover is imminent when things are looking dull and monotonous. If you are just starting out and keen on impressing clients as they enter your establishment for the first time, you will also find the best way to make the floor clean and presentable. You are probably wondering why everyone you ask mentions epoxy as the go-to coating for commercial and industrial floors. For starters, it is the most expensive coating option because you will be using 100 percent solid product. Slightly less costly are solvent-based solutions, which feature only 40-60 percent concentration. Water-based solutions fall into the latter category. If the goal is to cover imperfections and make a floor look impeccable, you must be ready to invest anywhere from $45 to $150 per gallon for a high-quality coating solution. The brightness of any interior space increases when the surface of the floor is glossy. Other than the shine it provides, epoxy offers absolute protection even in high traffic areas. The substance is resistant to water and oil and can even mask cracks and chips. A seamless coating that is tough enough for industrial applications should serve your commercial establishment well. A shiny floor may seem too slippery for ease, but epoxy is so wonderful it that offers a safe surface for treading while presenting a plane as impeccable as glass. Walkable areas with this type of coating offer just the right traction, made possible by anti-slip additives. As soon as the layers settle and the surface is ready for foot traffic, you can expect the floor to function as expected, and there is no need for regular maintenance. Floor coating should only be applied on a floor that is absolutely clean and free from stains. You must consider using a sandblaster if a stubborn stain refuses to budge when you use an industrial cleaner. Preparing the floor also involves removing paint, sealant, or any product that may have been previously applied. It is particularly important to remove sealant or ensure that sealant is not present. 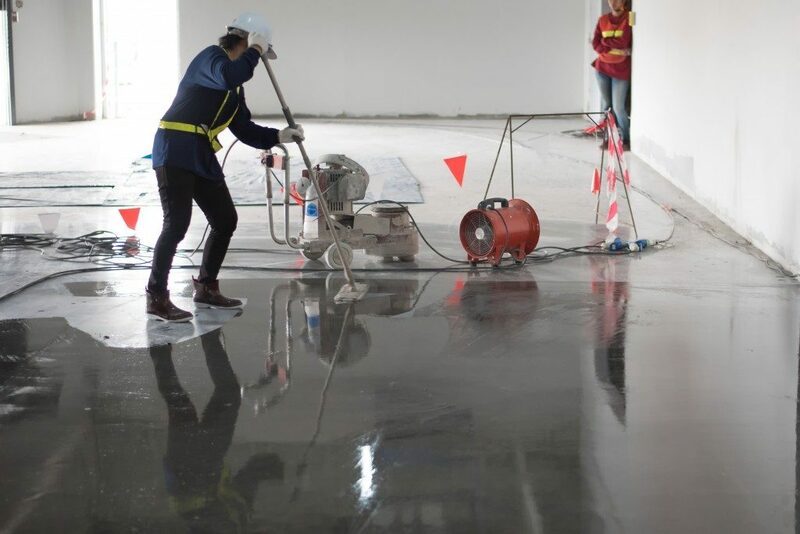 When you hire professionals to do the job, they will take steps to remove as much moisture from the concrete floor as possible. You may place a plastic covering on the surface and check after 48 hours if moisture is present on the plastic. 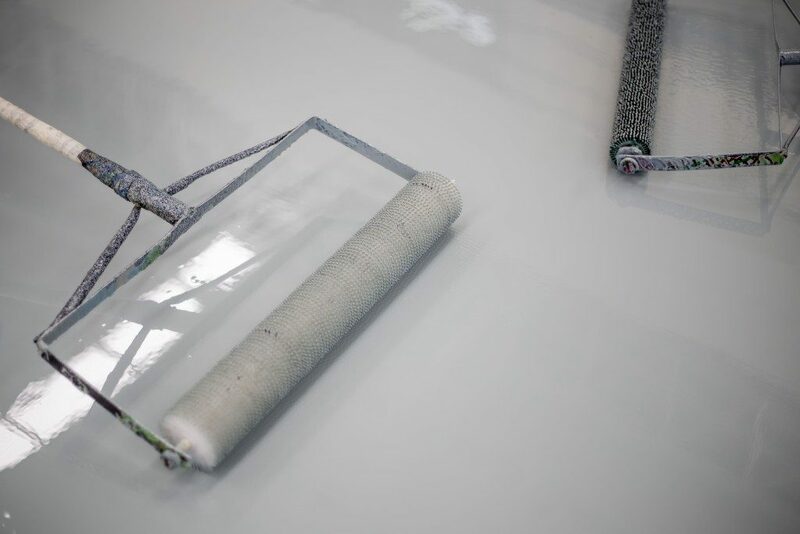 A primer is the first substance applied on the floor after the preparation is completed. It should take a few hours for the primer to set before layering the epoxy paint on top. A roller should do the trick, but make sure you follow instructions on the bottle. The epoxy typically sets in about five hours. Polishing the floor should give you the impeccable shine you expect. If you will not settle for anything less than a floor that shines like a fairy tale ballroom, then commission an epoxy coating application. Look for a professional who can do the job for you in an efficient manner.